The belief in spirit animals originates from the Totemic ideologies of Native American and Aboriginal tribes, and also from Animism, which is the belief carried by many religions that all animals and plants have a spirit (Luna). Within this belief system, every human spirit corresponds with an animal counterpart that is representative of their traits, desires, fears, and subconscious drive (Mystecurious.com). Spirit animals or totems may also carry messages from Source or universal energy that warn against, give guidance to, validate, or celebrate the most relevant obstacles or happenings in a person’s life at the time. I have found through personal experience that animal messengers appear in specific numbers and often act in such a way that evokes a focused attention from the receiver. After a long period of having essentially zero contact with spiders, three spiders in three areas of my home made their presence known within an hour. The first appeared at my feet from under the stove in my kitchen, the second crawled across my pillow and rested at the top of my bed, and the third was journeying across the wall near my hand as I flipped on a light switch in my living room. Each of these instances were increasingly more shocking and forced my attention. After the third instance I knew that Spider Spirit was carrying an important message from the universe, as the number three has been labeled for its significance by countless individuals and cultures. 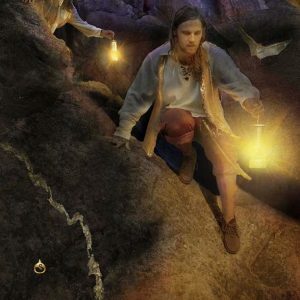 According to Spirit-Animals.com, which I’ve found to be the most relevant source for my experiences, Spider Spirit was trying to express that my creativity levels were at a peak and that it was time to make changes if reality was not meeting my expectations. As I’ve recently been changing my focus in life towards more creative outlets, finding healthier relationships, and seeking guidance in how to move forward, this message validated that a more creative and fulfilled existence was possible now. Spider Spirit’s message is just one of hundreds that I have received, and these relevant reassurances have acted as a strong guiding force towards immense personal growth. In relation to the Transformation Oracle, spirit animal meanings play a huge role in my interpretation of the cards. Journey, Descent, Generosity, Recycle, Wisdom, Purification, Strengthen, and Stuck all carry strong animal symbols that give more specific insight on how to communicate messages to the seeker. All information that I will use to delve deeper into these interpretations will be pulled from articles within Spirit-Animals.com, as these are the messages that speak to me most powerfully. These analyses will also include my personal realizations and conclusions about each of the animal guides appearing in the Transformation Oracle. The Journey card represents venturing out beyond current limitations and experiencing new aspects of both the world and the inner self. The Bulldog Spirit that appears in the card is a symbol of courage, loyalty, friendship, and determination, which are all important aspects of exploring something new or beginning a transformation. Bulldog Spirit reminds the seeker that in order to pave a new road, an inner strength and resolve to pursue goals as well as environmental support in reaching them will be most vital to success. The Bulldog also carries the message that one must not be too stubborn or set in certain opinions. Journeys often lead to unexpected destinations or roadblocks, but a conquering of these obstacles may require an openness to ideas and guidance from outside sources. 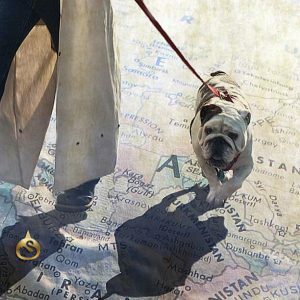 The Bulldog Spirit is an excellent representation of the strengths and the lessons that must be learned to experience new realms both within and without. The imagery on the Descent card represents a cave, which is an ideal setting for the Bat Spirit to reveal its greatest strength as a guide through dark experiences. Bat Spirit communicates that a death within the self may be occuring, as pieces of a person that no longer serve their Highest good are falling away. This loss may feel troubling and scary, but Bat Spirit is there to lead the way as a symbol of intuition, rebirth, and transition. Uncomfortable experiences can lead to fear, anger, and an internal struggle, however Bat Spirit is also a reminder that to return to light from darkness, spiritual growth is critical. Loving enemies as one loves thyself, releasing ego, and constant renewal of beliefs are important lessons that Bat Spirit teaches us through the loss and release experienced within a Descent. The Horse Spirit appears on two cards within the Transformation Oracle: Generosity and Wisdom. One of the most important aspects of Horse Spirit as a messenger is the color of the horse itself. Within the Generosity card, Horse Spirit is represented with a brown coat, and this depiction carries with it the warning to release any obsession with or worship of material goods. As the Generosity card represents an exchange and sharing of physical elements, this Spirit is the ideal guide to find balance between giving and receiving. Brown Horse Spirit is a symbol of cooperation, friendship, and freedom which emphasizes that the universe is abundant and will provide all of what is needed through these channels. Alternatively, the white Horse Spirit that appears on the Wisdom card transcends the material world and is an illustration of spiritual growth through use of knowledge. The Wisdom card expresses the importance of trusting personal insight and judgment, and white Horse Spirit stresses that utilizing reason, justice, and faith as navigators will lead to ultimate success in this area. 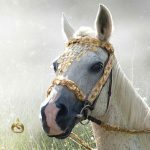 Awareness and expansion are attributes of white Horse Spirit that further explain how the Wisdom card aids in transformation, as the use of inner understanding will assist in reaching greater spiritual heights. 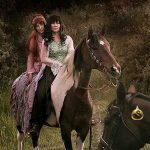 Horse Spirit overall brings forth powerful messages that align both material and mental resources through Nourishment and Refinement of the spirit. The Recycle card within the Transformation Oracle focuses on relabeling past failures as experiments and using them as a foundation to create something new. The Koi Spirit appears in this card as a directive to revisit incomplete projects, use meditation/altered mind states to reflect, and to persevere through adversity. Each of these practices are essential to Recycle the past into a greater present, and Koi Spirit uses its luck and abundance to assist the seeker in this revolution. As the emotional environment within directly reflects the physical environment that is experienced, Koi Spirit leads the way towards a fully integrated physical and emotional state, as represented through Recycle being of Earth, but Koi Spirit residing in Water. Koi Spirit teaches that constant effort to learn paired with universal abundance can manifest balance between our physical body and the emotional environment within it. An important message appears within the diet of Koi as well: as it has transformed a wide range of food into fuel for evolution, similarly a seeker must transform a wide range of lessons into fuel for transformation. Both Snake Spirit and Peacock Spirit bring forth amazing messages in Purification. With Snake Spirit as a symbol of renewal and rebirth and Peacock Spirit as a symbol of expansion and awakening, these two are ideal leaders in transformation. The seeker may learn from Snake Spirit to “shed old skin” or old behavioral practices that no longer serve their Highest good. As Snake Spirit is adept at balancing energy, its presence in Purification may also be a reminder to counterbalance fear with love. With sharp fangs as a physical representation, Snake Spirit may also carry a warning that pessimistic emotions are “biting” the seeker and poisoning their health. 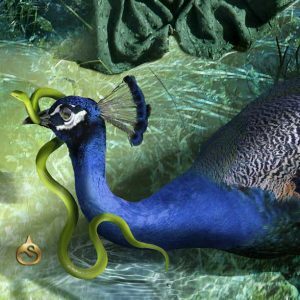 The spiritual and wise Peacock Spirit works as a nice counterbalance to Snake in this card, representing the cruciality of perpetual internal transformation. Just as the Peacock continuously transforms poisonous food into beautiful physical color, the seeker must turn emotional and behavioral poison into beautiful inner light. Peacock Spirit as a symbol of confidence and expression emphasizes the importance of self-assurance and beneficial communication in this endeavor. This dynamic spiritual duo precisely illustrate the personal power that can be achieved through the transformative and revitalizing nature of Purification. It might be difficult to find a spirit that represents Strengthen as thoroughly as Buffalo Spirit. 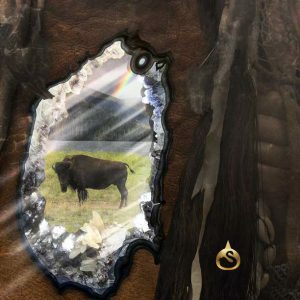 Symbolizing power, stability, and sacrifice, Buffalo Spirit stampedes into the seekers awareness with a warning that fortifications of the spirit are necessary to achieve Growth. Buffalo Spirit also personifies abundance through its physical form, as it has provided essentially all basic needs for human survival throughout history. This relays to the seeker that everything necessary to survive and transcend duress is ever-present. Buffalo’s sacrifice to humankind has been recognized through prayer, which has lead to this Spirit admonishing the importance of communicating with Higher energy. As an unmistakable exhibit of tenacity and resolve, Buffalo Spirit is a mighty leader in manifesting fortitude by use of personal and universal resources. As expressed through the Water element, the Stuck card illustrates how emotional blockages create a phase of Stasis in which transformation reaches a standstill. Yet within this imagery lies the cunning, resourceful, and creative Spider Spirit to inspire humankind into action. Spider Spirit speaks to the fact that we “weave our own web,” which is both a reprimand to recognize personal responsibility and an omen of hope for the future. While the sensation of being Stuck may feel eternal, the resources to fabricate new possibility are always present. Through clever and innovative means, Spider Spirit triumphs over physical limitations and teaches a lesson in overcoming emotional obstacles through cultivation of personal power. As a physical representation of the number eight, which signifies infinite possibility, Spider Spirit also understands that the only limitations that exist are the ones created within. 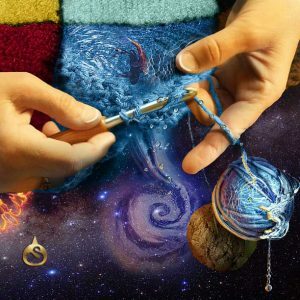 By use of crafty construction and capitalization of assets, Spider encourages response through traversing the emotional walls which prevent spiritual development. Animal spirits carry an insurmountable amount of wisdom and experience that adds another layer of advantageous comprehension to the Transformation Oracle. Each Spirit carries with it entire eras of information, guidance, and resources that inspire readers and seekers alike. These Totems represent a living and energetic encyclopedia, encompassing all that is past and present as prodigal teachers for humankind, and thus are impeccable luminaries for leading the way towards transformation. 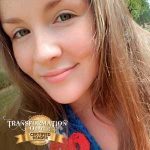 Read Haelie’s Transformation Story, My Revolution of Self. Learn how Haelie won a Scholarship!